There are certain qualities that we have come to expect from the personality of brick. It is heavy, it is durable and it blocks the elements. 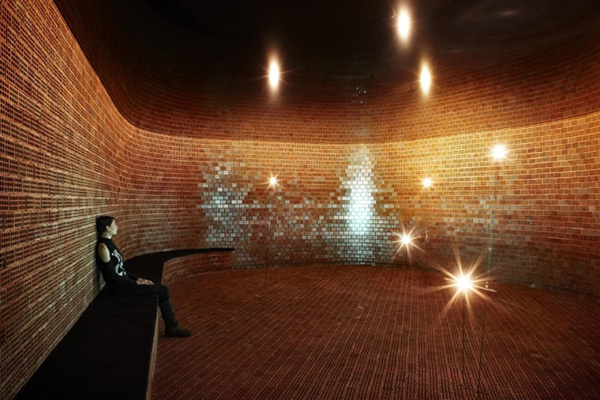 But Mab Architects took it upon themselves to change the perception of brick. In their work of art, Plinthos Pavilion, they used 21,816 bricks for the floor and walls. By changing the direction in which the bricks were laid so that the perforations were exposed, they changed the perception of transparency. 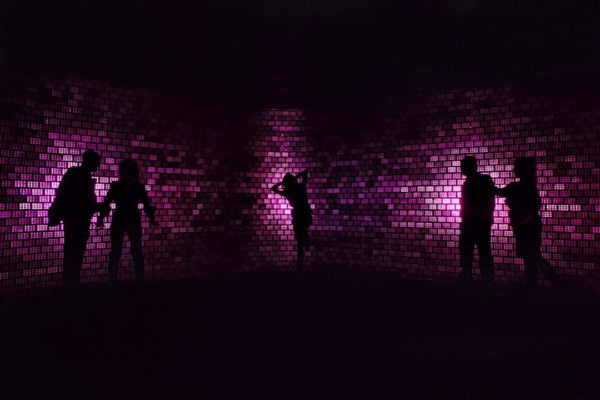 This simple twist in placement method turned the brick pavilion into a room that breathes and interacts. A constant background soundscape and use of RGB light communicate through the wall, transforming the structure into a living organism. The best part? 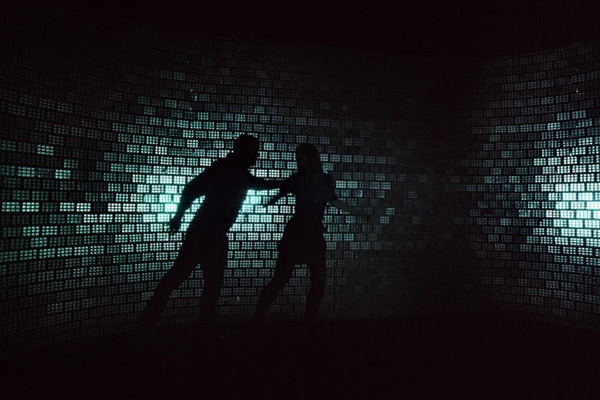 Visitors are able to interact with the space through light, shadow and sound. Plinthos pavilion is a multi-sensorial experience. It binds the tactile emotion of the rough brick surface, as a memory of ancient construction, with new technologies which stimulate the sense of the passing of time, relating the past with the future. The pavilion proves that it is possible to redefine the personality of material by integrating technology and interaction, while at the same time, promoting the visitor to both observe and experience the environment.